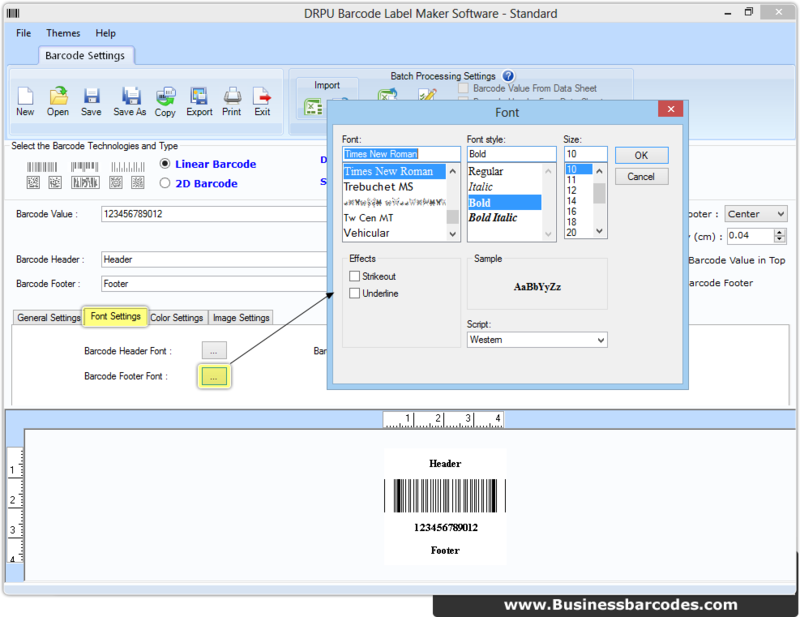 First select barcode technology with its font type and set barcode value. You can make alteration in general, font, color and image settings as per requirement. Above screenshot displays font settings. 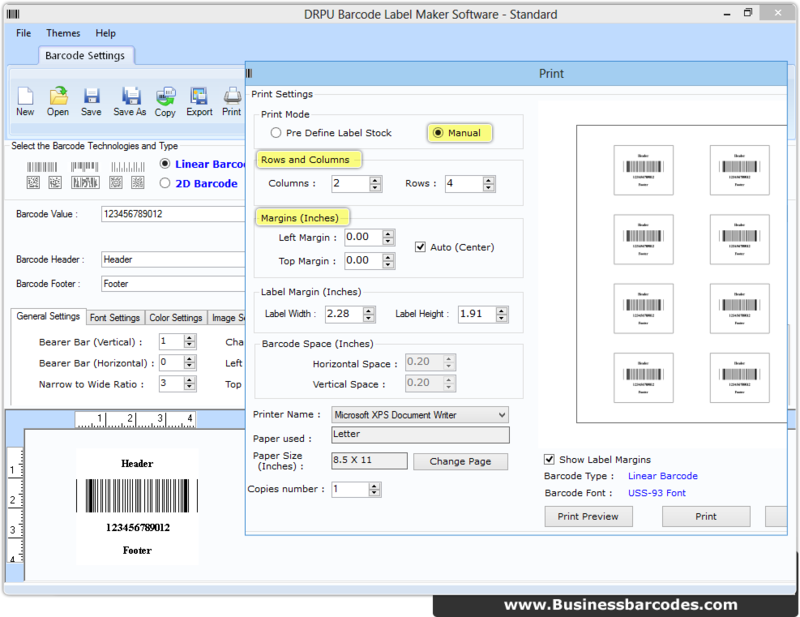 Go to tool bar to select print option then choose any printing criteria (Manual or pre define) and set other attributes accordingly. Print preview facility is also available to avoid printing mistakes.